Smartcat is a Cloud-based ecosystem that includes translation management and a marketplace. Unlike other TMS, Smartcat doesn’t charge per user and instead takes a commission of up to 10% from every payment to freelancers or vendor companies processed through the system, similar to Booking.com in the hotel business. Having started development as early as in 2010, Smartcat began to see rapid growth in 2017. Smartcat was originally developed in 2012–2015 as an in-house solution by ABBYY Language Solutions, a linguistic service provider within the ABBYY group of companies. The parent company became a resident of the Skolkovo accelerator in 2011. ABBYY, the founders of Smartcat and a Russian state venture fund have invested between $6 and $10 million into the product at its early stages. The SaaS service announced closed trials in 2013 and launched in 2014 in beta. At first, it targeted enterprises with the aim to bring them into ABBYY LS as translation buyers on a single tech platform. 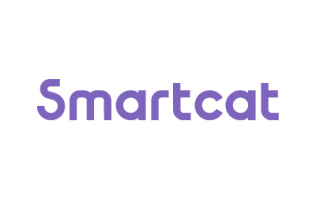 In mid-2016 Smartcat spun off from mother company ABBYY LS and attracted $2.8 m external investment from Ilya Shirokov (ex-CEO at Odnoklassniki and founder of Yandex-acquired social network MoiKrug.ru). ABBYY LS’s founder and CEO Ivan Smolnikov also left the company to fully focus on Smartcat. The company pivoted strategically and started targeting translation agencies. This new strategy hit home: in the following year, Smartcat’s revenue grew 5.2x times, driven by commissions on translator payments processed through the system. Smartcat’s main markets are Russia, Asia, and Turkey. At the end of 2017 about 80 full-time people worked in Smartcat, and the platform claimed 160,000 registered accounts.